One of the key steps in developing new drugs is determining the atomic structure of its biologically active substances. This generally involves performing X-ray analyses of single crystal structures to determine the ingredient's detailed three-dimensional set-up. However, growing suitable single crystals is often a complex and time-consuming process. A research group headed up by Bernhard Spingler, professor at the Department of Chemistry of the University of Zurich, has now modified a method that had previously been used exclusively for the crystallization of proteins, and successfully applied it to organic salts. The team was able to determine the crystal structures of several organic salts with significantly less time and effort. "As organic salts make up about 40 percent of all active pharmaceutical ingredients, this new method can greatly speed up the development of drugs," says Spingler. The generation of solid salts of organic molecules is a key step in developing certain pharmaceutical ingredients. The positively and negatively charged particles that make up organic salts determine their properties, such as their solubility, crystal shape, ability to absorb water, melting point, and stability. The search for the ideal negatively charged anion to match the salt's positively charged cation has until now been a very resource-intensive process. Thanks to the semi-automatic combination of ion exchange screening and vapor diffusion for crystallization, this is not only done quicker and at lower costs. "We can now also determine the structures of the salt combinations directly after screening, since doing so only requires only very small amounts," adds crystallography expert Spingler. 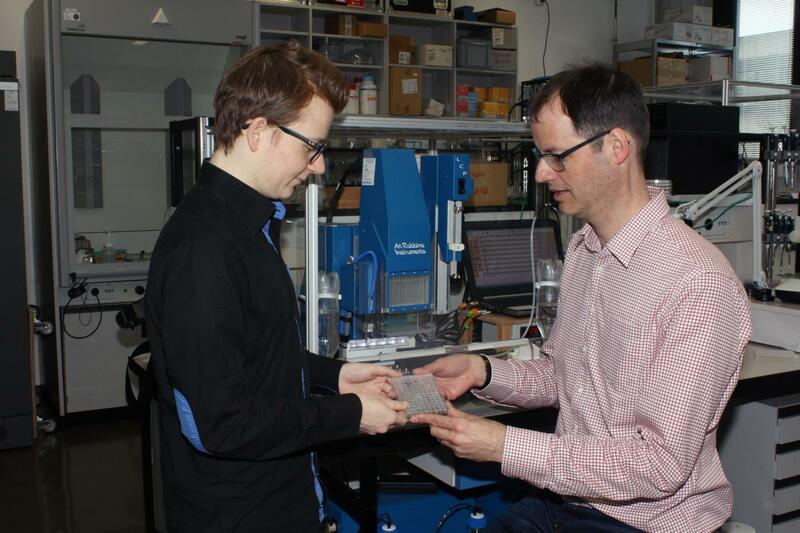 The breakthrough in developing the novel method was achieved by Philipp Nievergelt, a trainee who had spent 10 months in Bernhard Spingler's lab after graduating from Gymnasium. The successful junior researcher is listed as first author of the study and is now four semesters into his business chemistry studies at UZH. "The traineeship got me excited about lab work and encouraged me to continue doing research," explains Nievergelt.